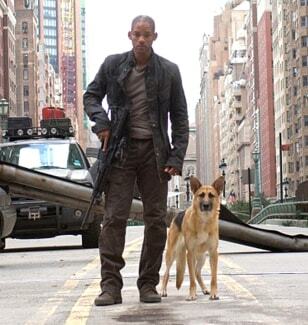 "I Am Legend," starring Will Smith, cured the box office of its winter blues by setting a new record for biggest opening in December. Two Golden Globe nominees just hitting theaters did well in their second weekends. Fox Searchlight’s “Juno,” a teen-pregnancy comedy whose three nominations included best comedy or musical and an acting honor for Ellen Page, grossed $1.44 million in 40 theaters for a $36,018 average. “Atonement” and “Juno” expand into nationwide release over the next three weekends. Another Golden Globe nominee, the Paramount Classics-DreamWorks foreign-language contender “The Kite Runner,” debuted strongly with $450,970 in 35 theaters for a $12,885 average. Spanning the Soviet invasion of Afghanistan to modern times, the film follows an emigrant to America who returns home to rescue the son of a childhood friend. Francis Ford Coppola’s first film in 10 years, “Youth Without Youth” from Sony Pictures Classics, had a so-so debut of $27,815 in six theaters, averaging $4,636. The film stars Tim Roth as an elderly language scholar whose youth is restored by a lightning strike.